Awesome :D I can't wait to see how you make out with the series!! I love the fact that it didn't go there with the love triangle. I remember loving the two other characters and their POVs in this one. I can't remember everything that happened but I do know that it definitely makes you have to know what happens. Fantastic review! 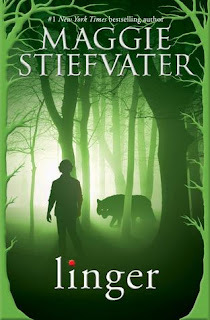 I have yet to read a Stiefvater book - I know, I need to get with the program! These sound right up my alley, so I don't know what I've been waiting for.